For years we've grown to know X-Rite Photo & Video as the most trusted name in color calibration, but there's so much more to the company today, especially with their never-ending focus on education. As technology has blurred the lines between still photography and filmmaking, X-Rite Photo & Video has worked hard to find the solutions you need for accurate color in both. I'm always surprised by the number of artists I meet who still don't understand the importance of color calibration. You can't possibly create images or films with consistent quality if your "eye-balling" the results and your attitude is "that's good enough!" If you're an artist trying to build a reputation for an uncompromising quality in every presentation, then why settle for mediocrity? The crew at X-Rite Photo & Video is here to support your growth as a photographer and an artist. Plus, this year marks the 40th anniversary of the Color Checker and there's a lot going on to celebrate. X-Rite Photo & Video is on line with regular webinars with the very best educators in photography today. They have outstanding products, but more impressive than their technology is the unmatched support by their staff. Visit the X-Rite Photo site and you'll see what I'm talking about. It's loaded with great content to help you build a stronger business and a more consistent skill set. 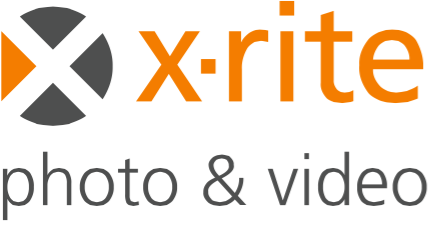 Welcome to the world of X-Rite Photo & Video! Click on the banner above for X-Rite help in photography. Click on the "Colorist" above for X-Rite help with filmmaking. Everyone has to start somewhere. Click the keyboard above and let's take the first step.